Q: Is Ashland University accredited? A: Yes. 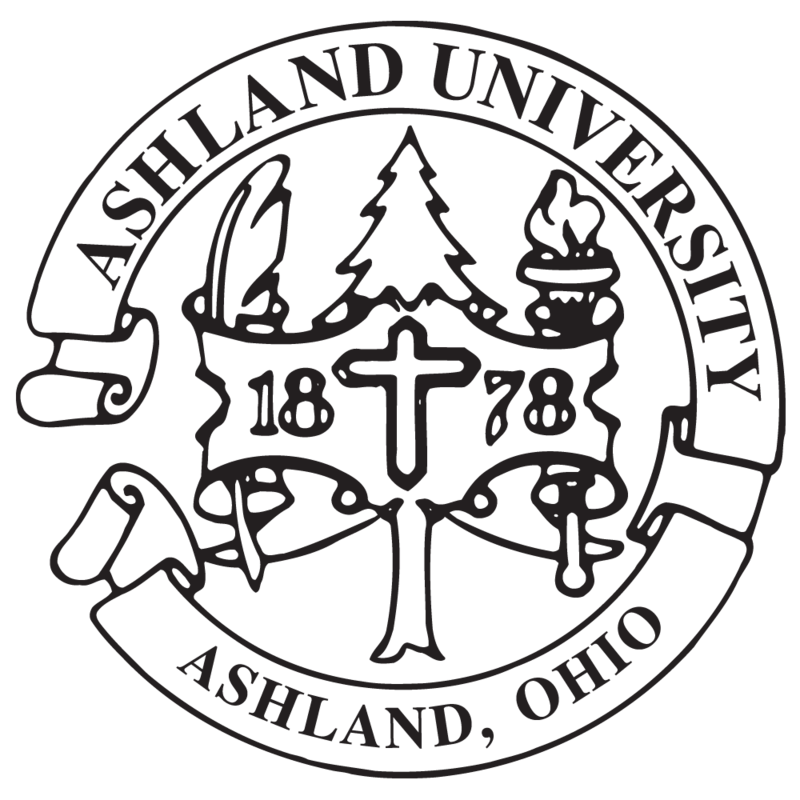 Ashland University is a private, non-profit, comprehensive university founded in 1878. The university is accredited by the Higher Learning Commission. A: Applications are reviewed on a rolling basis. While there is no particular deadline, it is suggested that applicants ensure that all required items are received at our office at least one month prior to the start of the semester of intended enrollment. Q: When will I hear about admission? A: Generally, an admission decision will be sent to applicants within two to three weeks after the receipt of a completed application file. A completed application file includes the application form (completed online), official transcripts, and (for degree-seeking students) a $30 application fee. Q: Can I complete my MA degree solely through online study? A: Yes. One of our two MA programs, the Master of Arts with a Specialization in Teaching American History and Government (MASTAHG), may be completed entirely online. The Master of Arts in American History and Government (MAHG) is best described as a "hybrid" program that features both traditional classroom courses during the summer semester and online study during the fall and spring semesters. It may not be completed entirely online. Q: How may credit hours must be completed on campus during the summer semester? How many credits may I complete via online course work? A: All 36 credit hours required for the MASTAHG degree may be completed online. However, MASTAHG students are welcome to complete some (or all) of their coursework on campus. For students pursuing the MAHG degree, at least 16 semester credit hours must be earned on campus at Ashland during summer semesters. The remaining 16 credit hours may be completed "away from campus" via our online coursework, up to 6 semester hours of transfer credit, and the 6 credit hour research methods/thesis/capstone experience (for those students on the thesis/capstone track). Q: May I enroll in two master's programs at Ashland University? A: Yes, it is possible to pursue two master's degrees simultaneously at Ashland University. Policies and additional information about this option may be found on the Academic Policies page. Q: If I have already been accepted to the masters degree program but did not take classes last summer, do I have to reapply to the program? A: No, you do not need to reapply to the program. When you are ready to resume your studies, please contact the program office by email to notify us of your intentions. Q: What degree is awarded by Ashland's history and government programs? A: Effective with the start of the Fall 2012 semester, both the MAHG and MASTAHG programs will award the Master of Arts degree, a universally recognized designation for liberal arts programs in the arts and sciences. Q: Should I begin my coursework with the 500 level courses? A: Not necessarily. The required courses are not introductory in the sense of providing information or skills that are necessary for the successful completion of other courses. They are required to insure that students are familiar with the breadth of American history and the development of America's political institutions. They may be taken at any point. Q: I don't have a strong background in American history. Where should I begin my coursework? A: If you do not have a strong background in American history, we recommend that you begin with the AHG 501 through AHG 505 series. They will provide you with a broad overview of all of American history, which will be helpful as you take other courses. We do not recommend beginning your coursework with an AHG 510 - Great American Texts course. Q: I'm not a teacher but I would like to become one. Will these MA programs lead to certification as a social studies teacher? A: Teacher certification or licensure requirements vary widely from state to state. In general, neither the MAHG nor the MASTAHG degrees are likely to meet all requriements for licensure as a social studies teacher or for licensure in any related subfield. In most cases, additional course work in educational methods and other social science fields like psychology, sociology, and economics may be required. We suggest contacting your state's department of education to learn more about the specific requirements. If you are interested in receiving your initial license as a social studies teacher in the state of Ohio, the Bachelor's Plus program offered by the Ashland University College of Education may be of interest to you. This program is designed for individuals who hold a bachelor's degree in a field other than education who wish to become licensed teachers. Contact the College of Education at (419) 289-5688 to learn more about this option. Q: What if I want to register for a Directed Study course? A: Students wishing to develop expertise requiring study beyond what is offered in other courses may arrange with a professor to work individually on a topic. The student's academic advisor must approve all directed studies. The AHG 670 - Directed Study course is offered for two credit hours. Contact your academic advisor for more information or to register. Q: Are courses in the MA program available online? A:Yes. Online courses in American history and government are offered as live, synchronous web conferences in which students and instructors participate in real-time. Like our on-campus courses, online courses are offered for 2 semester credit hours. Schedules for online courses will vary from semester to semester and course to course. Online courses are open to both degree-seeking and non-degree guest students taking individual courses for graduate credit. Q: Do I have to pay for courses at the time of course registration? A: For courses during the summer semester, payment may be deferred until April 1. After April 1, payment for summer courses is due at the time of registration. For fall and spring online courses, tuition and fees are due at the time of registration. Finance charges in the amount of 1.5% per month begin to accrue on unpaid balances about four weeks after the due date. Online by credit card, debit card, or checking account draft. This may be done via WebAdvisor. Your AU username and password are required to access WebAdvisor. Please allow up to two business days for your registration to be processed prior to attempting an online payment. Credit or debit card by phone at (419) 289-5958. A check or money order, made payable to Ashland University, mailed to: Office of Student Accounts, Ashland University, 401 College Ave, Ashland, OH 44805. An actualized student loan through the Ashland University Financial Aid office. Written proof of an outside scholarship or fellowship. Documentation should be mailed or faxed to the MAHG program office. Please note that credit and debit card payments - whether made online, over the phone, or in person - will incur a 2.75% service charge (minumum charge: $3.95). All service charges will appear on your credit card or bank statement as a separate transaction. Service charges are not refundable. There is no service charge for personal or bank-issued paper checks, money orders, electronic checking drafts (ACH), or cash transactions. Q: How do I know how much I owe? How do I pay for courses if I didn't do so at the time of registration? A: You may check your account balance and make payments through WebAdvisor. Online by credit card, debit card, or checking account draft. This may be done via WebAdvisor. Your AU username and passowrd are required to access WebAdvisor. Q: I need an invoice showing my tuition charges and payments. How can I get one? A: You may generate an invoice showing charges, payments, and current balances through WebAdvisor. Log in to WebAdvisor. Your AU username and password are required to access WebAdvisor. Go to the Students menu. Choose View Account and Make Payments under Student Financial Information. Click Account Activity (found near the top, just below the Student Finance tab). Select the Term from the drop down menu for the semester you wish to generate an invoice. Click View Statement on the right side of the screen. This will generate a printable official invoice for the semester chosen. Q: May I take courses without enrolling in the degree program? Go to our Admissions web page. Choose the "I want to take one or more classes without entering the degree program" option. Follow the instructions provided to register as a non-degree student. If you have not previously applied and been admitted to the Graduate School, you should arrange for an official transcript to be sent to us from the institution at which you earned your bachelor's degree. Transcripts should be mailed to Office of Enrollment Services, Ashland University, 401 College Avenue, Ashland, Ohio 44805. Q: How many courses may I take in one semester? A: Students may register for as few as one or as many as four courses in any particular semester. While offered on a unique intensive schedule, each course is designed to replicate a full semester-long class, including a selection of readings and assignments as may be found in a similar course with a more traditional schedule. In order to ensure that students are not overburdened by the demands of such an intense schedule, students may not register for more than four courses in any one semester. Q: The course I wish to take is full. Can I put my name on a waitlist in case a seat opens up? A: Yes. Students may add themselves to a course's waitlist on WebAdvisor. We monitor class enrollments closely. You will be notified if a seat becomes available in a course for which you are on the waitlist. Q: May I withdraw from a course and receive a refund for tuition, room, and board? A: To avoid full tuition and fee liability, students must drop a course prior to its first meeting. Once a student has attended a class, a full refund is not available. The student's last date of attendance in a class in the case of an unofficial withdrawal. Refunds of summer room and board charges are likewise prorated based upon the nights and meals elapsed at the time the student notifies the program office of their intent to vacate their accommodations. In the event that the student departs campus without formally notifying the program office of their departure, no refund of unused room and board will be made after 4 pm on Friday. Q: How do I withdraw from a course? A: If it is necessary for you to drop a course, please put your request in writing and send by email to mahg@ashland.edu, or by postal mail to MAHG Program, Ashbrook Center at Ashland University, 401 College Avenue, Ashland, OH 44805. Please note that all drop requests must be received prior to the deadlines noted above. Q: I am enrolled in the Master's degree program but I will not be registering for any courses this semester. Do I need to advise anyone? A: MAHG, MASTAHG, and students admitted to take courses on a non-degree basis remain active students through three semesters of inactivity (summers included). No notice to our office is necessary if you expect to continue your studies within three semesters. When you are ready to resume classes, you may simply register at that time. If you find you will be absent from the university for more than three semesters, please contact our office to let us know when you expect to resume your studies. Students absent for more than three semesters may be required to reapply for admission to the program. Q: I am interested in applying for loans to pay for my studies in the MA program. Where should I go to learn more or begin the loan application process? A: All of Ashland University's graduate loan applications are made through the Ashland University Financial Aid office. Please visit the site for complete information about your graduate loan options - including deadlines and requirements - and to begin the application process. Q: What is Ashland's Title IV code that I should use on my FAFSA to have my Student Aid Report sent electronically to Ashland? A: Ashland's Title IV code is 003012. Q: Do I have to be enrolled in the degree program to receive a Federal Stafford Loan? A: Yes. Only students pursuing the degree may receive a Federal Stafford Loan. Non-degree students may not apply. Additionally, students must be enrolled at least half-time (3 or more credit hours) in each semester they receive a loan. Students should be aware that reducing their course load after the funding of their loan may result in a recalculation of the maximum amount that may be borrowed. Overpayment made to a student as a result of a load reduction may require immediate repayment. Q: What is "Satisfactory Academic Progress (SAP)"? A: Students receiving federal financial aid must make Satisfactory Academic Progress (SAP) to remain eligible for Title IV aid. To meet SAP expectations, graduate students must earn grades of C- or higher for each course, maintain a cumulative GPA of at least 3.00, and successfully complete at least 66.67% of their culumative attempted credits. Grades of F, W, I, IP, or U are not considered satisfactory. Failing to complete degree requirements within 48 attempted credit hours (MAHG) or 54 attempted credit hours (MASTAHG) will render the student ineligible for further federal student aid. Complete details can be found in the university's Financial Aid Satisfactory Academic Progress Policy. Please note that SAP definition above is specfic to financial aid eligibilty. The MAHG and MASTAHG programs' definition of a student in good standing is higher than financial aid minimums. Q: How much should I budget for books? A: While the amounts will vary from course to course, the books for each course will be approximately $100. Author, title, and edition information may be found in a course's syllabus. All titles are available at the Ashland University Bookstore, however you are free to source books via the vendor of your choice. Q: What is the James Madison Fellowship? A:The James Madison Graduate Fellowship is a federally-sponsored program for current or future social studies teachers. The fellowship will cover the full cost, up to $24,000, of graduate study leading to a master's degree in a field which will enhance the fellow's ability to teach the principles of the United States Constitution. Full details about eligibility may be found at the James Madison Memorial Fellowship Foundation website. Q:Are Ashland's Master of Arts programs in American History and Government qualifying master's degree programs according to the standards of the Madison Foundation? A:Yes. Both MA programs fully meets the requirements of the Madison Foundation. We offer many courses which fulfill the program's constitutional study requirements. Many Madison Fellows have earned their master's degree at Ashland and more than 60 are presently enrolled. Q:Do you have any advice or suggestions for completing the Madison Fellowship application? A:Yes. We have worked with many Madison Fellows and have some helpful insights into creating a successful application. Q: How do I complete the Plan of Study form for my Madison Fellowship? A:The Plan of Study Form should be completed by the fellow and the fellow's academic advisor. Once you are admitted to an MA program, we will assign you an academic advisor. Contact information for your advisor may be found with your acceptance letter. Once you have been accepted to the university and you have been awarded a Madison Fellowship, contact your advisor to discuss the Plan of Study. Our advisors have worked with many Madison Fellows in the past. Your advisor can offer extensive assistance in planning an acceptable course of study. Once complete, your advisor will sign your Plan of Study as the "University Official" mentioned at the bottom of the form. We will then mail your Plan of Study directly to the Madison Foundation office. For step-by-step guidance to completing the Madison Plan of Study, visit our Madison Plan of Study page. Q: I'm a Madison Fellow and I'm ready to request reimbursement from the Foundation for my tuition. What do I do with the Payment Request Form? For "Subject of Degree Sought" (part 1, number 5) choose the program in which you are enrolled from the dropdown menu, either "American History and Government (MAHG)" or "Spec in Teaching Amer History and Gov't (MASTAHG)". For part 1, number 6, choose the option that applies to the program in which you are enrolled: 32 credit hours (MAHG) or 36 hours (MASTAHG). For part 1, number 8, choose from the dropdown menu the year your fellowship was awarded. For part 1, number 9, enter the number of hours approved for reimbursement from your Plan of Study: generally, 32 hours (MAHG) or 36 hours (MASTAHG). For part 1, number 13, the starting date of the term is the first day of the semester during which the course(s) will be held, even if the course only runs for a portion of the semester. See the Ashland University Registrar's Academic Calendar for the official semester start dates. For part 1, number 15, line A, enter the amount of the tuition. Tuition rates vary by semester and course. Please see the Tuition and Fees page for current rates. For part 1, number 15, line B, enter $0 - all fees are included with the tuition (except for application, transcript, and graduation fees). For part 1, number 15, line C, enter $100 multiplied by the number of courses you have registered for OR the exact cost of your books. If you are submitting your Payment Request Form early, we estimate books will cost between $75 and $125 per course. If you are making your request after you have purchased books, enter the exact cost of your books. For part 1, number 15, line D, enter the amount of room and board cost (number of courses multiplied by this year's room and board rate). If you are NOT staying on campus in Ashland residence halls, enter the cost of your off-campus room (if necessary). For part 1, number 15, line E, enter $0 if you are residing on campus (board costs are included in the Room figure on line D). If you are staying off-campus, enter the cost of your meals/board (if necessary). For part 1, number 15, line F, the total will be calculated for you automatically. For part 1, number 19, enter the number of credit hours for which you are registered. For part 1, number 20, enter the course codes of the classes for which you are registered this summer. For example, "AHG 501 O1A". Once you have completed and electronically signed the Payment Request Form, it will automatically be forwarded to the MAHG office for review. Once reviewed and approved, it will be forwarded to the Madison office directly. You need not print or mail anything to the Madison office. We will include a copy of the current cost bulletin when we forward your request. Q: What is my Ashland University username and password? A: All students, both degree-seeking and non-degree, are issued a username and password for all of the university's various web-based systems. Instructions for obtaining your username and password will be provided to you with your acceptance letter at the time of your admission to the program. It is important that students know and remember their username and password. WebAdvisor - WebAdvisor is Ashland's student information system. Here, students may check grades, track their progress in the program, check account balances, make payments, and much more. Ashlabnd University Student Email - Each student is issued a student email address, powered by Google's Gmail. Your email address is <your username>@ashland.edu. Blackboard - The Blackboard learning management system is used by online course instructors to provide supplemental course materials, submission of assignments, and examinations. myAU Portal - Ashland University's new online web portal will feature news and information for students. Campus computers and networks - Use your username and password to log in to campus computer workstations and to connect your own laptop, tablet, or smartphone to the campus WiFi network. A: If you need to change your password, go to Ashland University's self-service password reset tool at pass.it.ashland.edu. First, follow the prompts to log in using your username and current password. Once you have logged in, you may change your password or you may enroll in the self-service reset tool. ALL STUDENTS ARE STRONGLY ENCOURAGED TO ENROLL IN THE SELF-SERVICE RESET TOOL. By doing so, you will create a series of challenge questions with answers only you would know. Should you forget your password in the future, you can reset it on your own without having to call the Ashland University IT Help Desk. Q: I have forgotten my username and/or password. What do I do? A: If you have forgotten your username, go to webadvisor.ashland.edu and click "Account Information" in the lower right hand corner of the screen. On the next screen, click "What's My Login Information?" Enter the requested information then click "Submit". Your username will appear on the next screen. If you do not know or have forgotten your password, you must contact the Ashland University Information Technology Help Desk at (419) 289-5405. Only the IT Help Desk can assist you with a forgotten password. No one in the MA program office knows your password nor are we permitted to request a password reset on your behalf. Q: Do I have an ashland.edu e-mail account? A: Yes. All students in the program, whether degree-seeking or non-degree, have an ashland.edu email address. Your email address is provided with your welcome packet at the time of admission. You may access your student email at mail.ashland.edu. Enter your Ashland University username and password and click "Sign In". You are welcome to use this email account any way you wish, however this is the university's official means of conacting you. Certain university communications, including those from the Financial Aid office and invoices from the Student Accounts office are sent only to this address. If you do not expect to use it on a regular basis, it is suggested that set your ashland.edu mail to forward to your primary email address. To do this, log in to your ashland.edu account and follow these instructions. Q: Where is the closest airport to Ashland? A: Ashland is located about one hour's drive time from the Cleveland Hopkins International Airport (CLE), John Glenn Columbus International Airport (CMH), and the Akron-Canton Airport (CAK). We offer a complimentary shuttle service between Ashland and the Cleveland airport ONLY. YOU ARE RESPONSIBLE FOR GROUND TRANSPORTATION FROM ANY AIRPORT OTHER THAN CLEVELAND. The best way to get to campus from Columbus or Akron-Canton is by rental car. Q: How does the shuttle service work? A: Participants who want to use the shuttle service should book their flights several weeks prior to their planned arrival. Please schedule your arriving flight at CLE for Sunday prior to 2 pm Eastern Time. Your departing flight should be scheduled for Friday after 5:30 pm. We cannot guarantee shuttle service for arrivals or departures at times other than these. Please contact us prior to booking nonrefundable flights for any time other than Sunday or Friday. If you absolutely MUST arrive or depart at a different day or time, you may be expected to stay overnight in a hotel near the airport at your own expense and take the shuttle during its regularly scheduled hours. Once you have booked your travel arrangements, please send a copy of your itinerary to us at mahg@ashland.edu. Please include your name, city of departure, airline, flight number, time of arrival, and a phone number (preferably a cell phone) as soon as travel plans are finalized. The shuttle schedule will be created based on all of the participants' arrival information. The schedule will be emailed to participants with detailed instructions during the week before the session begins. Q: I'm driving to campus. Where are you located? A: Ashland University is located in Ashland, Ohio, roughly halfway between Cleveland and Columbus off of Interstate 71. Take I-71 to Exit 186 (US 250) and head west into town. Follow the signs to the university. For those using GPS devices or internet maps, check in takes place at Senior Apartment Building B, located at 420 Samaritan Avenue, just east of King Road on the south side of campus. A: Check-in takes place on Sunday between noon and 4:00 pm in the lobby of the Senior Apartment Building B (building 6 on the campus map). Students who need to check in prior to noon on Sunday MUST make arrangements with us AT LEAST one week in advance at mahg@ashland.edu. Early arrival times are limited and cannot be guaranteed without prior arrangement. Q: What should I bring with me to campus? A: Bring your books, photocopied course packet(s), and personal items. We will provide a basic blanket, sheets, towels, washcloths, a pillow and pillowcase. A laundry facility is available at no charge. You may wish to consider bringing a robe, drinking cups, hangers, laundry detergent, shampoo, soap, and an alarm clock. Some students prefer to bring their own pillows and blanket or comforter. Q: I live far from Ashland. Is room and board available during the summer semester? A: Yes. On-campus housing and meals are available on a week-to-week basis during the summer semester. This includes a double-occupancy air conditioned room, basic linens, and all meals from dinner Sunday through lunch on Friday. A: Because of the intensive nature of each course, students are strongly encouraged to reside on campus during the week the course meets. Living on campus is convenient. No time is lost to commuting each day. Classes, meals, the library, and the computer lab are all within walking distance of campus housing. The campus dining and MA program staffs take care of the logistics of your stay so you may focus solely on your studies without distraction. On-campus housing is not required, however. Students who live withing commuting distance of the university or who choose to make other living arrangements may live off campus during the week. Q: Where do we stay on campus? A: In most cases, MA students are housed double-occupancy in air-conditioned apartment-style housing. Each apartment has two bedrooms, each with a private bathroom. Two students are assigned to each bedroom; a total of four students per apartment. All apartments are fully furnished and feature a common living room, dining room, full kitchen, and patio. Please notify us at mahg@ashland.edu at least one month before the start of classes with roommate requests or special needs. A limited number of single rooms are available at no additional charge. Single room requests will be housed in Andrews Hall, an air conditioned facility renovated in 2007. Andrews is a traditional residence hall with community bathrooms. If you wish to be assigned to a single room in Andrews Hall, please contact us by email at mahg@ashland.edu. Q: Is there an exercise facility available? A: Ashland University's Rybolt Sports Sciences and Recreation Center is available for your use during the week. The Rec Center features a 5000 square foot fitness center with weight room, lap swimming pool and diving well, whirlpool, raquetball courts, climbing wall, basketball, indoor track, golf simulator, game room, and more. Reservations are required for the racquetball courts and golf simulator and can be made by calling (419) 289-6173. Q: Will we have access to computers and the internet while on campus? A: Yes. A computer lab is available for your use 24 hours a day in 200 Patterson Hall (building 12 on the campus map). Access is granted with your Ashbrook swipe card, which you will receive when you arrive on campus. Computers are also available throughout the library, in the Hawkins-Conard Student Center (building 28 on the campus map), and on the third floor of Andrews Hall. All campus computers have access to the internet, Microsoft Office, and are connected to printers. You are welcome to bring your own laptop or tablet computer to campus. Ethernet and WiFi are available in all campus residential facilities. WiFi is also available in all classroom buildings, the library, and most student dining and lounge areas on campus. Technical support for connecting to the campus network is available from Ashland's Information Technology Help Desk on the MyAU portal. Q: Do residence hall rooms have telephones? A: No. Telephone service is not available in student rooms. A campus phone may be found on the first floor of each Senior Apartment buildings and in the lounge area of Andrews Hall. You are welcome to use these campus phones to make local or toll-free calls off-campus. To place a call from this phone, you must first dial 8 for an off-campus line, then dial the local number (10 digit dialing is required in Ashland County) or dial 8+1+the toll-free number. Similar phones are located around campus. Additionally, pay phones are located on the first floor of the Hawkins-Conard Student Center. Should you need to leave a number with friends or family at which you may be contacted while at Ashland, please use the Ashbrook Center's main phone number: (419) 289-5411. We will relay any messages we receive for you. Q: How can I get an Ashland University student identification card? A: Students in the MA program may get an EagleCard, Ashland's student identification card, in the EagleCard Office located on the Lower Level of the John C. Myers Convocation Center (building 26 on the campus map). Q: I'm registering for courses that meet two weeks in a row. May I stay on campus during the weekend between the two sessions? A: Yes, you are welcome to stay on campus for the Friday and Saturday night between classes. There is no charge for the weekend stay. You must make your request in advance by contacting us at mahg@ashland.edu. No meal service is available between lunch on Friday and dinner on Sunday evening. Several fast food and casual dining restaurants are located within walking distance of campus. Q: Does Ashland have an emergency notification system? A: Yes. The Ashland University Safety Services office can alert you to severe weather or other campus emergencies while you are on campus. To learn more or sign up for text message or email alerts go to the Ashland University Emergency Contact System website. Q: What technology is required to participate in a Live Online course? A relatively recent PC or Mac. A broadband internet connection (at least 3.0 Mbps DSL/cable line or better). Dial-up is NOT sufficient. A webcam. If you do not already have a webcam on your computer, we suggest the Logitech HD Webcam C310 (available for under $40 at amazon.com). A headset with a microphone is required. This helps minimize the possibility of audio feedback and background noise. A current version of Microsoft Internet Explorer, Mozilla Firefox, Google Chrome, or Apple Safari are recommended. Additionally, participants may need administrator privileges on the computer with which they intend to participate. In certain cases, you may be required to download plug-ins or updates to your software which are required to run WebEx. If you are using a computer from your employer's IT department, please verify in advance that your computer is capable of running the necessary software. Q: May I complete the degree program entirely online? A: The Master of Arts in American History and Government (MAHG) degree may not be completed entirely online. Degree-seeking students in MAHG are required to complete at least 16 hours of the program in residence during summer sessions. The program's faculty believe strongly in the importance of face-to-face contact and in the benefit of immersion in our intensive summer courses. Conversely, the Master of Arts with a Specialization in Teaching American History and Goverment (MASTAHG) degree program may be completed entirely online. MASTAHG students have the option to take some or all of their courses on campus. Q: May I participate via my smartphone, iPad, or Android tablet? A: Yes. The WebEx Training Center module is now supported by the WebEx apps for iOS and Android devices. The tablet apps (iPad and Android tablets) feature nearly all of the functionality of the PC/Mac version. Smartphones (iPhones or Android phones) may be limited to audio only (this may vary by phone model and platform). Nonetheless, students are expected to participate via video AND audio, so participation via the smartphone app is not suggested unless video is available on your model. Please note that the experience on a Windows PC or Mac will be more complete than that of any mobile device. Please be aware that videoconferencing entails substantial data use. It is recommended that your tablet or smartphone is connected to the internet via a WiFi connection. While it is possible to participate via a 4G cellular data connection through your mobile carrier, this is not recommended. You are solely responsible for any data charges associated with the class. Q: What if I do not have a broadband internet connection in my home? A: We understand that some people may live in areas which are not serviced by high-speed providers. Unfortunately, a high-speed connection is essential to handle the demands of webconferencing. If you have a laptop computer with WiFi, you may consider connecting at a local business (i.e. a coffee shop or restaurant), public library, or other place which offers public WiFi. Q: What if I cannot attend all scheduled sessions of a course? A: As in a traditional course at Ashland, discussion between students and professors is the essence of a Live Online class. Participation is expected at all sessions. You are strongly encouraged to consider upcoming obligations prior to registering for classes. If a student has a known conflict prior to registration that will make it difficult or impossible to attend all class meetings, the student should NOT register for that course. That said, we know that emergencies do come up over the course of a semester-long course. If, after the start of the semester, a medical, family, or other emergency should arise that makes it impossible for a student to attend a particular class meeting, the student should contact the course instructor and the teaching assistant prior to missing class. If the emergency circumstances make it impossible to make contact prior to missing class, the student should make every effort to contact the instructor and the TA as soon as possible. In the event of an unanticipated internet access failure or other computer-related outage, students may still participate by phone. Instructions for participation via phone may be found in the weekly reminder email received from messenger@webex.com. Additionally, WebEx is supported on most smartphones and tablets, including two-way video and audio. Students who are traveling may still be able to attend class via a mobile device. A student who misses class without explanation may be administratively withdrawn from the course without refund of tuition. Students with valid excused absences who miss two or more class meetings (three or more class meetings of a twice-weekly course during the fall or spring semesters) may be administratively withdrawn but may be eligible for a pro-rated refund of tuition. See the Graduate Catalog for details of the refund policy. Scheduled sporting events, family vacations, or coaching responsibilities do not constitute excusable emergencies. Coaches should consider their season-long obligations - including practices, tournaments, and playoffs - prior to registering. Q: Can I access the Ashland University Library's research databases from home? A: Yes. To access the library's research databases go to the Library homepage. Search for the journal or database you wish to use, then click the appropriate link to access the resource. You will be taken to an authentication screen. Enter your last name and your seven-digit Ashland University student number. Do not use your Ashland University username or password. Complete instructions may be found on the library's website. Q: I have questions about my academic progress and about course selection. Who should I speak with? A: Your Academic Advisor is the best resource for questions about academic progress and course selection. You were assigned an advisor at the time of admission and the advisor's name and email address were provided with your admission letter. If you have misplaced your admissions materials, you can find out your advisor's name, phone number, and email address via WebAdvisor. Log in to WebAdvisor, go to the "Students Menu" and click "My Profile" in the "Academic Profile" section. There may be more than one advisor listed under "Advisor Name." The FIRST advisor listed is your advisor. Q:How do I access WebAdvisor? A: To log in to WebAdvisor, go to webadvisor.ashland.edu. Click "Log In" in the upper right corner. Enter your Ashland username and password and click "Submit". Q: I have general questions about the MAHG program, fees, registration, housing, syllabi, etc. Who should I speak with? A: General questions not related to your personal academic progress should be addressed to Chris Pascarella or Ali Brosky at the Ashbrook Center. Q: I am uncertain about my skill as a writer at the graduate level. Is help available? A: Yes. The Graduate School's Graduate Writing Consultation (GWC) program is available to students enrolled in the MAHG program. The GWC can help reacquaint graduate students with the academic style of writing and provide assistance developing skills in written communication. While the GWC does NOT provide proofreading or editing services, the consultant will provide suggestions for improving structure, grammar, and punctuation. To learn more about the GWC or to schedule an appointment, contact Dr. Maura Grady, Director of the Writing Center. Additionally, you may refer to Purdue University's well-regarded Online Writing Lab. Q: What citation format does the MA program use? A: There is no single, preferred style used by all instructors. Please consult with the instructors of each course for their preferred citation format. In the absence of specific preferred format, please use Turabian or Chicago style. Q: I want to avoid committing an act of academic dishonesty. What constitutes cheating and plagiarism? A: The university and the MA program take matters of academic integrity seriously. Students, whether enrolled in an MA program or taking individual courses for credit, are expected to abide by the Academic Integrity Policy found in the Ashland University Graduate Catalog. Students accused of academic dishonesty may face failure on the assignment, the course, or dismissal from the program. You are STRONGLY encouraged to make yourself familiar with the correct procedures of citation and use of sources. The Graduate Writing Center offers many excellent resources on research, writing, citation, and use of sources. You may find additional information on citations and the proper use of sources at Purdue University OWL. Q:How will I receive my grades? A: The university no longer mails paper grade reports to your home address. Grades are ONLY available via WebAdvisor, the university's student information system. Neither your professors nor the program office can release grades over the phone or via email. Q: When will I receive my grade? A: Grades will be posted on WebAdvisor shortly after the end of the semester and not necessarily at the end of the course. For summer courses, grades are generally posted by mid-September; fall courses, by mid-January; spring courses, by mid-May. A: Official transcripts may be requested from the Ashland University Registrar's Office. Q: How do I request a letter of recommendation? A: Students in need of academic letters of reference should contact a professor or professors who are familiar with your work. Students are encouraged to discuss references with their academic advisor. Please be aware that no single faculty member is under any obligation to provide a letter of reference automatically upon request. Q: How do I track my progress toward graduation? A: Students may track their progress toward their degree on WebAdvisor. After logging in to WebAdvisor, select the Students menu. Under Academic Profile, choose Program Evaluation. Check the box next to the program you are in. Press SUBMIT. The Academic Evaluation displays your progress toward your degree, including your GPA, courses completed, course grades, and remaining course requirements. It is recommended that students check their progress regularly, particularly when preparing to register for classes. MA students should apply for graduation when they begin their thesis or capstone project or when they schedule and prepare for their comprehensive examination. Delaying registration for graduation may result in the assessment of a late fee. Additional information is available from the Registrar's website.